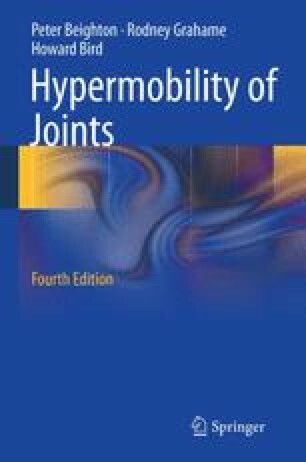 The first clinical description of articular hypermobility is attributed to Hippocrates, who, in the fourth century B.C., described the Scythians, a race of Iranian horse-riding nomads inhabiting the region that now forms the Ukraine, as having humidity, flabbiness and atony such that they were unable to use their weapons. Their main problem in warfare was that hyperlaxity of the elbow and shoulder joints prevented them from drawing their bows effectively. McKusick VA (2009) Mendelian inheritance in man. Catalogs of autosomal dominant, autosomal recessive and Χ-linked phenotype. Online www.ncbi.nlm.nih.gov/omim/.